Welcome (Back) to the UGL! The start of the Fall 2018 semester is almost here, and the UGL is excited to welcome new and returning students to campus! We’ve been busy this summer planning events and improving our services for the fall semester. Read on for details, and be sure to follow us on Twitter (@askundergrad), Instagram (askundergrad), and Facebook (@UndergradLibrary) to stay updated on all things UGL throughout the year! Did you know that the UGL has a large collection of tabletop games? Did you know that we host regular Pathfinder Roleplaying Game events during the academic year? Play some old favorites, or learn a new game, at our event this upcoming Saturday. 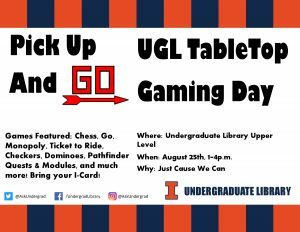 Tabletop Games: Bring your i-card to play games from the UGL’s tabletop collection. Featured games include Chess, Monopoly, Ticket to Ride, Go, Checkers, Dominoes, and much more! Pathfinder Roleplaying Game: New and old players are welcome to play Pathfinder Beginner Box quests (1-4 p.m.), or you can join the Pathfinder Society for the Heroes for Highdelve module (1:30 p.m.). You can reserve all of the UGL’s unique services in advance, and this summer we made the task even easier by bringing together all of our bookable services in one place. Introducing, Book It. Free use of loanable technology, audio and video production studios, group study rooms, and research and writing consultations are just a click away! 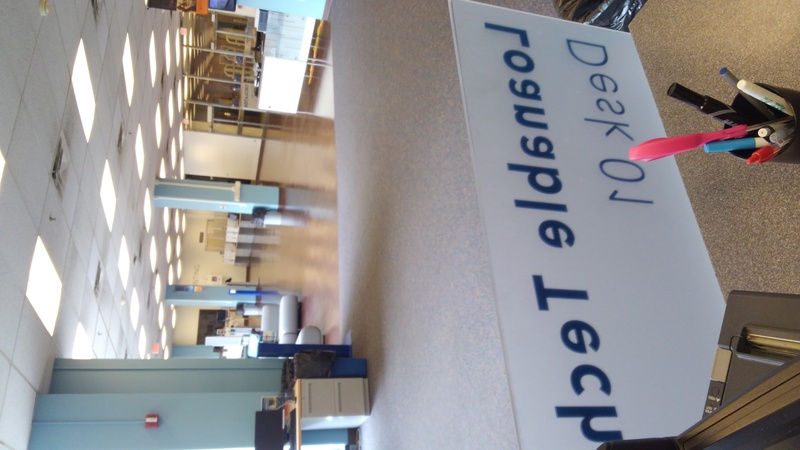 To better serve you and expedite the checkout process, the UGL has new homes for our two service desks. 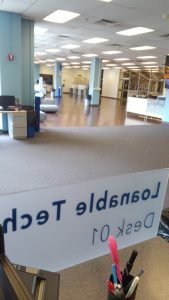 The Circulation desk remains adjacent to the Upper Level entrance of the UGL, and the Loanable Technology desk has moved to the Media Commons space on the North side of the Upper Level. We will remain open 24 hours the week of final exams each semester, and beginning September 10th, Grainger will once again operate 24/5 if you need a 24 hour study space. 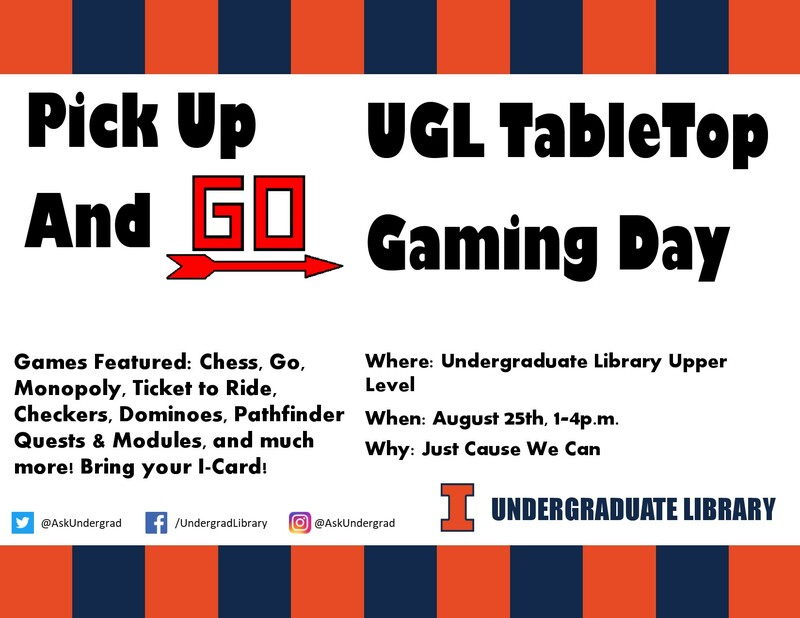 This entry was posted in Community, Resources, UGL News and tagged board games, Book It, hours, library, Pathfinder, Roleplaying, Tabletop, u of i, U of I Libraries, ugl, undergrad, Undergrad Library, welcome week by Zander Miller. Bookmark the permalink.